Confession of a non-Japanese food lover. Right, I admit. I’m not the biggest fan of Jap food, while others rave about the freshness of the sashimi, I stared at them and wondered why they like to eat raw seafood. When others sipped and finished their bowl of ramen, I’m quietly thinking of my wanton mee. But, I can’t stop myself eating Tonkatsu, whenever I enter a Japanese restaurant. 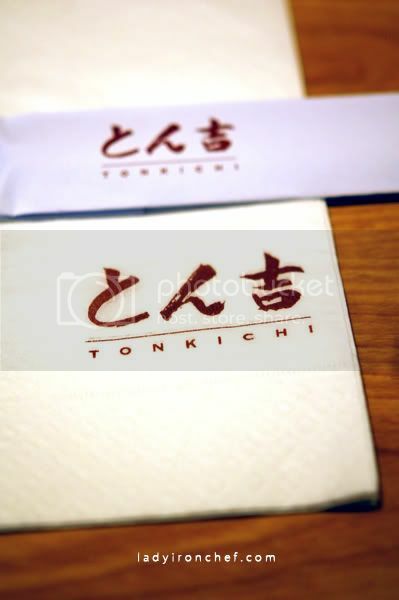 The inevitable thing happened when I stepped into Tonkichi, thoughts of the excellent Kurobuta pork cutlet that I had at Tampopo, flowed into my mind. 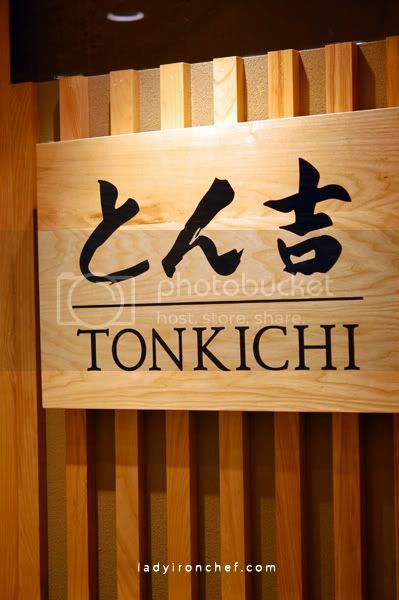 And of course, the visit here was because friends have always recommended Tonkichi for their famous tonkatsu. The interior is very simple, smaller than what I expected from the outside, with a comprehensive menu to showcase their speciality. And this is where the main difference between Tonkichi and Tampopo lies. The latter offers a wide range of Japanese food, with Katsu and ramen as their signatures, the former does what they’re best in, Tonkatsu. They have the hire and rosu katsu of course, but there are also other set combinations to try their prawn, oyster, crab with their katsu. Eggs are my favourite, and fried eggs with white rice can satisfied me. I’m a simple person with a simple taste bud, really. 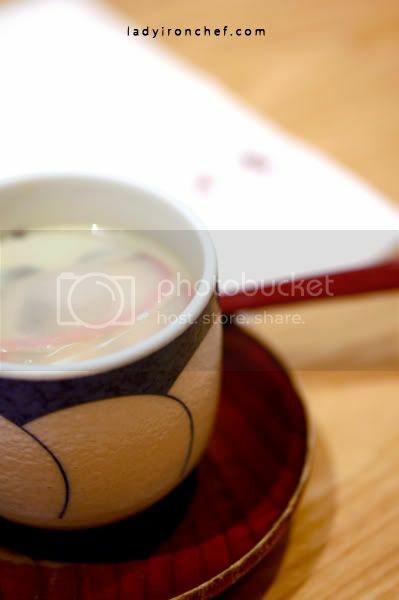 But somehow I do not fancy the Chawanmushi ($3.50). I guess the problem is steamed eggs and I simply do not get along. Nonetheless, my friend enjoyed the starter, and finished it fast enough. 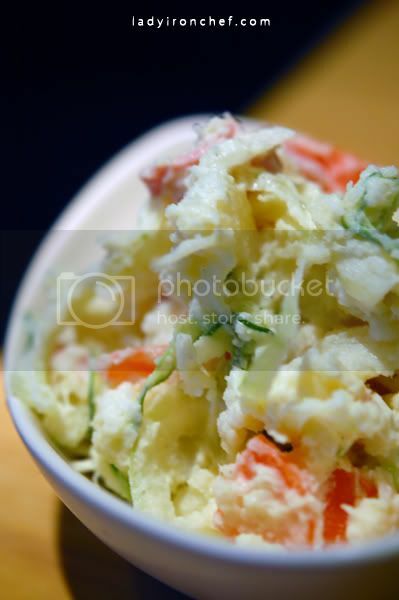 Somebody once told me that Japanese potato salad ($3.50) is very good. It surely represented what an appetiser was about, light and simple, something to get your engines, or rather stomach going. 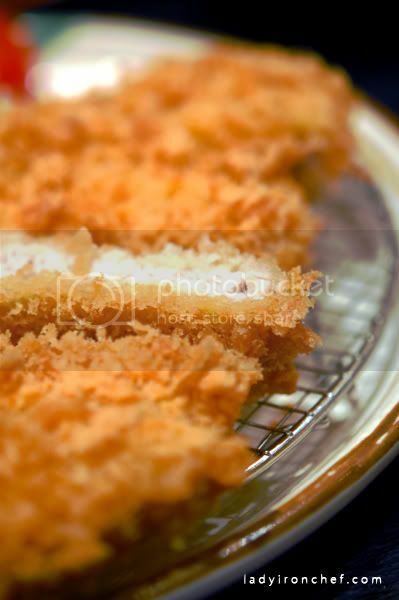 We were expecting the tonkatsu to be the star since Tonkichi is famous for it. But instead, we found ourselves falling in love with this instead. 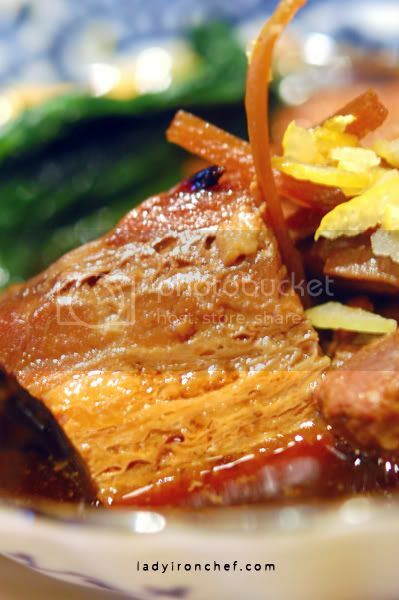 Man, the simmered pork belly was just so, so good! Well it tasted akin to our Chinese braised pork belly, everything was perfect. My friend was contemplating to order another serving, but we decided to come back to Tonkichi again, just for the divine Buta Kakuni ($6.50). I was somewhat disappointed by the supposedly signature dish, Rosu Katsu ($20). There was the option of going for the premium tonkatsu set, but since I tried the normal grade pork loin at Tampopo last time, I wanted to give them a equal footing for the comparison. Sadly to say, I felt that the rosu katsu here didn’t quite match up to the one I had before. While there was a layer of fats underneath the crispy exterior, but the katsu somehow just lacked the oomph factor. 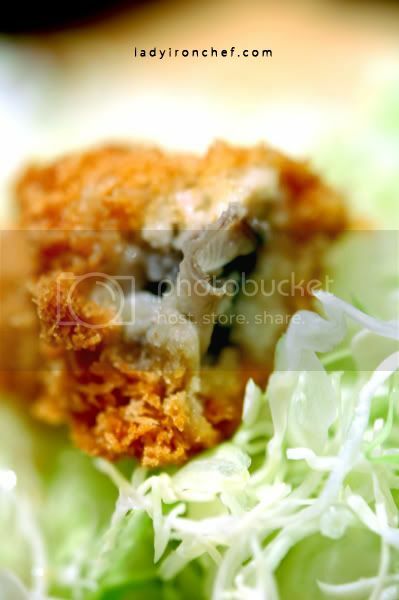 Adding a few more bucks, gets you the Oyster & Rosu Katsu set ($24.50). The same goes for the rosu katsu, while my friend who is a big fan of oyster dutifully chomped down both oysters while leaving the katsu unfinished. Total bill was $68.25 for two person. The conclusion was quite clear-cut, I’ll like to think that Tampopo serves a meaner and better Tonkatsu, well the best I ever tried so far. But I’ll certainly come back to Tonkichi, just for their Buta Kakuni. It’s 12:53am and your post is making me very hungry!!!!!!!!!! Karas last blog post..On the fly! Yep. 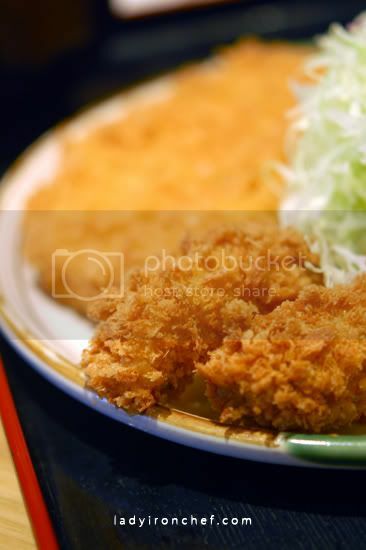 While Tonkichi’s Rosu Katsu is good, it is nowhere near Tampopo. Tampopo’s Tonkatsu is unrivaled IMHO! Pls help little charmaine @ http://ourfeistyprincess.blogspot.com/. My friend Cynthia’s daughter Charmaine is suffering from cancer neuroblastoma & is currently in the 4th stage. And let’s pray hard together! Junes last blog post..Let Us All Pray Hard For Charmaine! It doesn’t look like they put any tonkatsu sauce on their cutlets. Was it served with sauce? kara: hahahaha yay! reading my blog late at night isn’t very advisable. lol! adel: lol! Actually okay la, i’m not that against Jap food, just that i’m not those type that rave abt it too. haha. yeah there’s the free flow of lettuce, but the given portion is already so much, we didn’t take extra. chewbb: oh? Which dessert is it? 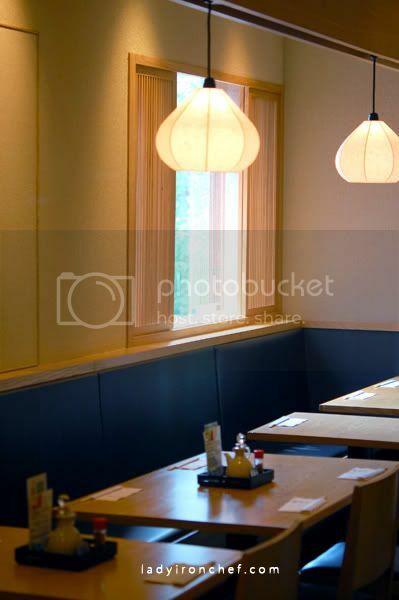 This is one of my favourite Japanese places…besides Wasabi Tei at Far East Plaza, yum! Amsies last blog post..Taipei’s Shilin Night Market. The last time I went there, they gimme a sesame seed for you to grind before start the meal. It is meant to be mixed with their special sauce for the tonkatsu dip. email2me: yeah they still give the sesame seed thingy, just that i didn’t show the photograph. haha! very fragrant! june: yeah the buta kakuni is omg. haha! agreed with you on that, personally i felt tampopo one is better than tonkichi. Um, wow. I really hope that this is just ignorance on your part. “Jap” is considered a really offensive term with a lot of negative historical connotations. Tampopo at Liang Court has cheaper sets. loop: yeah i know, i prefer tampopo to tonkichi too!